This Mobile Power Bank’s main feature is 13600mAh Power Bank with Power Jump Car Starter, which can be used to restart your car in case it dies, as long as it has more than 30 percent battery.This device also can charge notebooks and phones. It even has a high intensity LED Flashlight in case you get caught in the darkness. 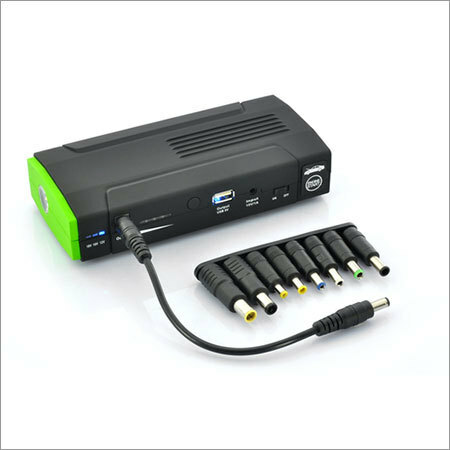 The Mobile Power Bank with Power Jump Car Starter includes adapters for 8 different types of laptops, something you will find useful for charging your laptop while in your car or anywhere else. You can charge your phone as well with the 4-in-1 USB interface.